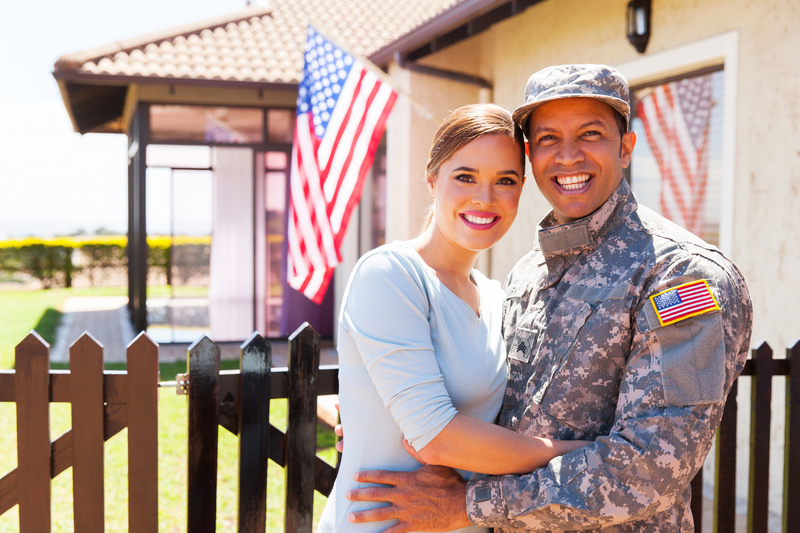 On-Base Suites works with the Privatized Housing Provider on base to re-purpose vacant houses and apartments into fully furnished and accessorized homes for temporary duty assignments and extended stays. On-Base Suites was created by Madison Hospitality in response to a need to fill vacant on-base housing and support the need for a fully furnished temporary living experience on base. Madison Hospitality brings over 12 years of success in serving extended stay travelers. 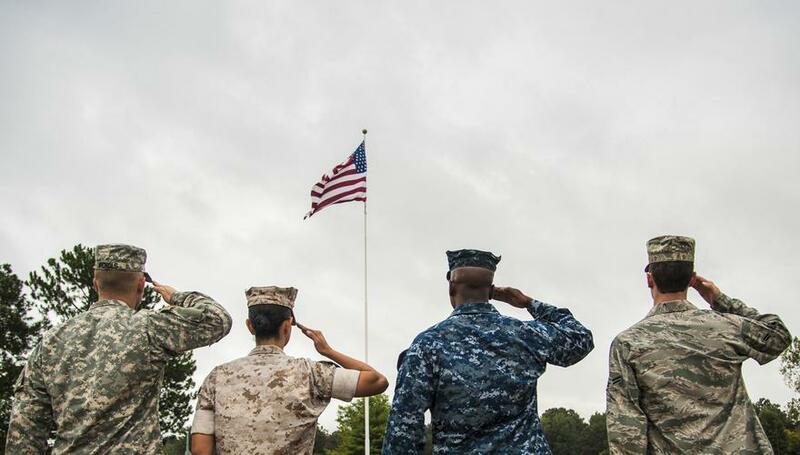 Our travelers have historically been Active Duty, DOD travelers, Government civilian travelers, and the contractors who support the government. And best of all, we charge per diem rates! So you can easily enjoy all On Base has to offer. We look forward to seeing you, but please remember On-Base Suites does not arrange base access, you must already have it. You will enjoy a tasteful Wi-Fi enabled furnished home that includes everything needed to create a home away from home. Living Room - Comfortable furniture along with a TV that includes an entertainment package. Kitchen - Fix your favorite meal in your fully equipped kitchen complete with cookware, utensils and small appliances. Bedrooms - Get a good night’s sleep in your furnished bedroom complete with a TV. Other amenities that are available; base dependent and additional fees may apply: housekeeping services, pet friendly, and washer and dryers. Our team is at the ready to make your stay as easy and comfortable as possible. 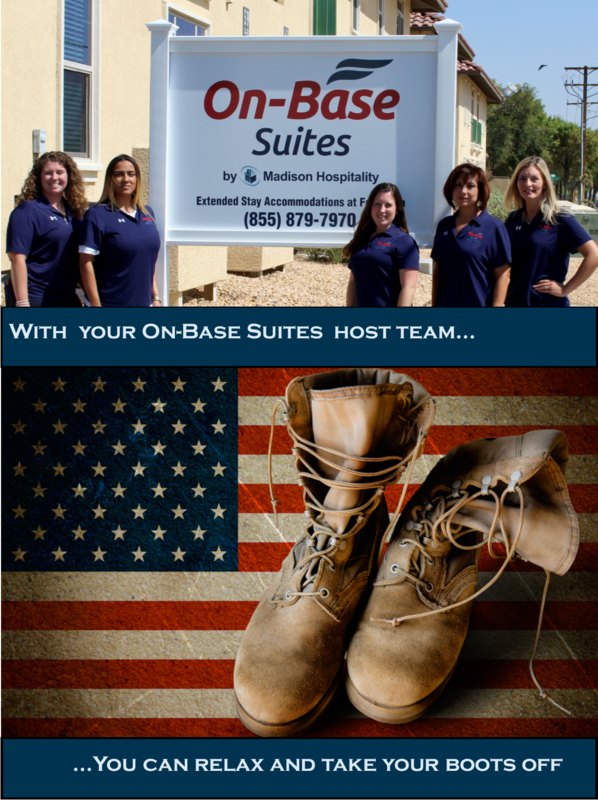 Military Spouses - Consistent with our goal to serve the mission of the base, we hire military spouses to be our On-Base Suites hosts. The Host is on-site to make your home ready and to assist during your stay. 24 Hour Customer Service - Our team is available to you 24 hours/7 days a week to assist you. © 2017 On-Base Suites. All Rights Reserved.